Posted by Kerri Demski on Wednesday, November 7th, 2012 at 5:39pm. Sales are up, listings are down, and for the first time this year our sales-to-active-listing ratio has increased. In spite of recent conditions, prices continue to subtly adjust in most markets with a few exceptions. In West Vancouver, Vancouver’s Westside and Richmond, we saw record level price increases and all time highs this spring. Due to more selection and less demand, these values have dropped by about 6% in the past 6 months. In North Vancouver, where pricing remained relatively stable throughout the year, the housing market remains strong in all areas. 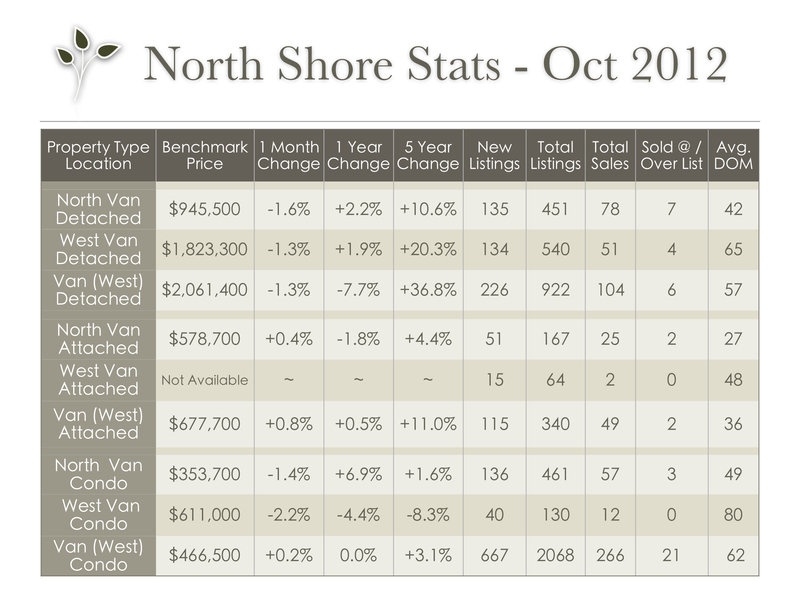 Detached sales have nearly doubled compared to last month and total inventory is also down. While condo sales have only increased slightly, the average ‘days on market’ has dropped from 76 to 49. Inventory is also down in the attached market. Despite the recent drop in supply, sellers still need to be realistic about their asking price and home preparation. It's also is worth keeping in mind that a staged property will sell up to 90% faster than a non-staged property. The majority of buyers want a move-in-ready home so it's imperative that your property shows to its fullest potential. Contact us for more information on how to get your home sold quickly while earning top dollar. 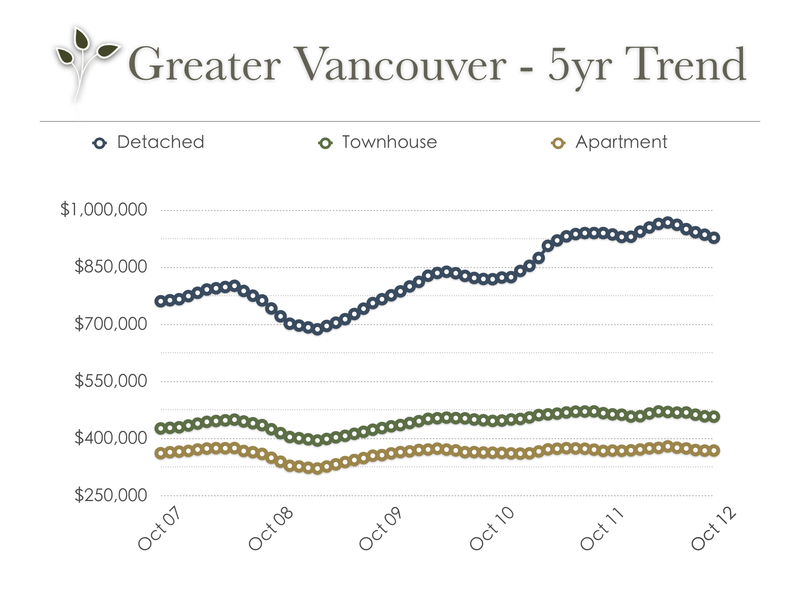 Stats are provided by the Real Estate Board of Greater Vancouver; feel free to view the complete REBGV Stats Package for October, 2012 on their website.